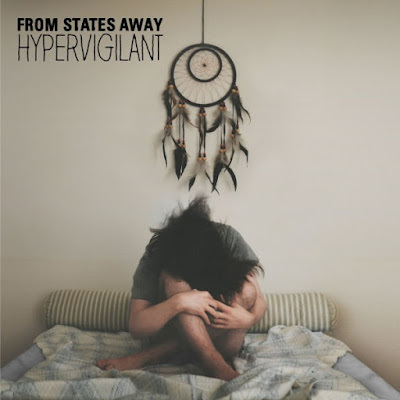 While on the surface From States Away’s Hypervigilant may seem like just another summery pop-punk record - you know the type – vigorous riffs, saccharine-laden hooks and infective melodies – and while it starts out that way on the opening tandem of “Fight Or Flight” and “Ashes” – this EP becomes something more the deeper you get, right around the time “Ferris Wheel” hits. While the hooks remain massive, the tone of Hypervigilant changes to more punk-pop than pop-punk, which should please more than a few New Found Glory and Unwritten Law fans. “Serenity,” one of Hypervigilant’s true shining moments, burns brightly with unbridled passion and heart-on-sleeve emotionality, and closer “Chasing Amy” gets nostalgic as it gives off some serious The Starting Line vibes thanks to well-crafted scribes like ‘Please don’t make a sound / I feel warm when your around / Like your cheek so red and round / My stomach falls when you catch me,’ poignant lines discharged amidst a welcomed array of swirling guitars. As they say, don’t judge a book by its cover, an old adage that perfectly describes From States Away’s Hypervigilant, an EP that pays off if you put in the work.